Giancarlo Stanton’s sixth-inning homer last night was his fifth in five games he has played at Coors Field. As I said yesterday, some hitters play better in certain parks. 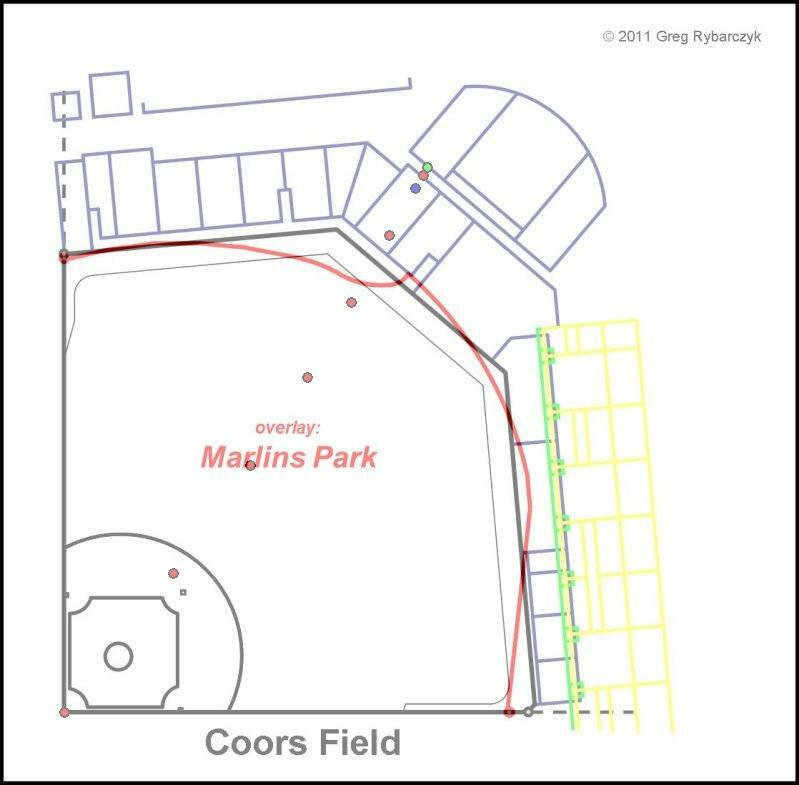 There are a few logical explanations for why Stanton hits so well at Coors. The first of course, is the low air density. Major League Baseball tries to balance it out by storing balls in a humidor at Coors Field. The baseballs become heavier and are therefore harder to hit. But, it is quite possible that by the sixth inning the balls that have been used for several innings have been out of the humidor long enough to lose their moisture, therefore becoming easier to hit. Another possible explanation is the personal preferences of Stanton. Maybe he likes hitting at Coors Field because of the temperature. Maybe he sees the balls better with Colorado’s batters’ eye as the backdrop. Or maybe he breathes perfectly fine at high elevations whereas pitchers cannot, thus taking advantage. But I think the real reason is simply the Rockies pitching. Colorado has one of the worst pitching staffs in the league, and when Stanton can guess what is coming, he can turn any at-bat into a Home Run Derby. He used to hit just as well at Nationals Park, but since Washington’s rotation has improved over the last two seasons, he has come back down to Earth. If you watch the videos of Stanton’s blasts in Colorado, pay special attention to the pitchers. They all have simple deliveries that can be timed perfectly by an experienced batter, and their stuff is really not that great. Sure it’s easy to say where it would have travelled, but it is not likely that Stanton could replicate his success in Denver at Nationals Park or in Miami. Quite simply, there is just some characteristic of Coors Field that makes him even better than his normal self when he visits. We might never know what it is, but we will always enjoy seeing its effects.